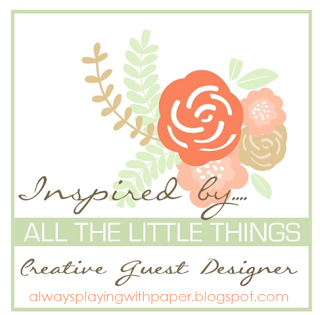 Well friends, today is the 5th and final day of the Papertrey Ink November sneak peeks! Aren't the new products absolutely amazing? I'm in love with everything being released this month and I hope I can sneak some time over the holiday weekend to dive into some of the new sets that I didn't get a chance to use yet! 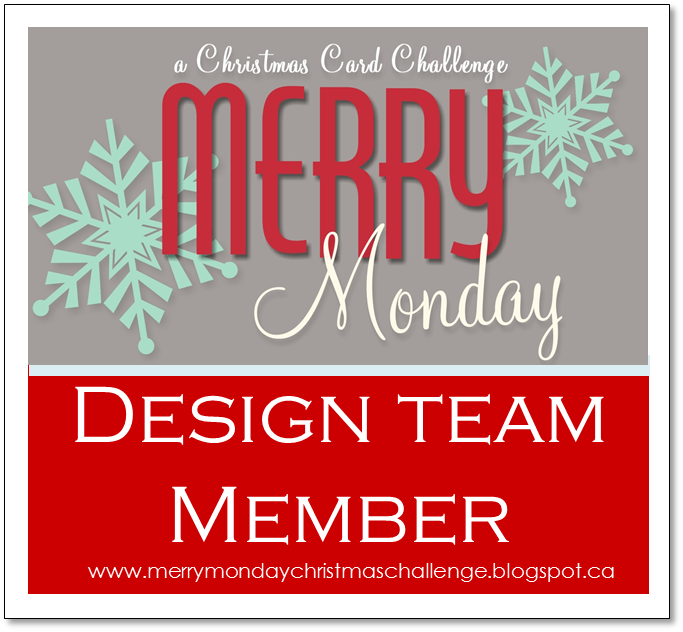 I have some fun, non-holiday projects to share with you today using two new stamp sets! 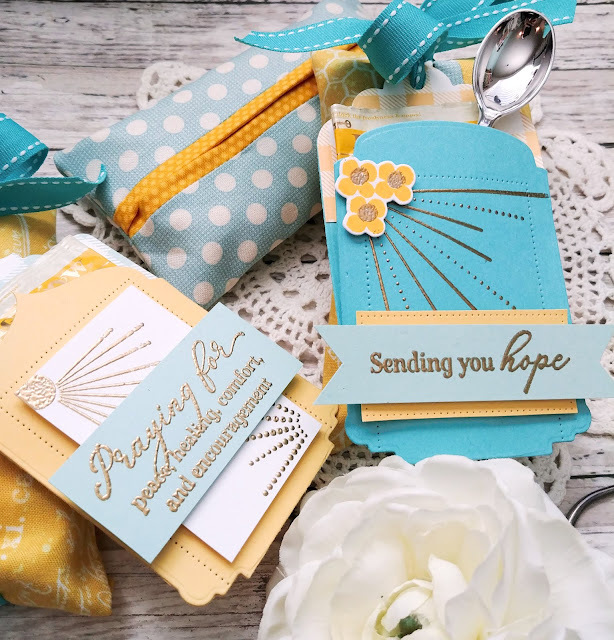 'These particular sets don't have any coordinating dies, but that didn't stop me from incorporating some of the stunning new ones that I will be using again and again! I use both sets on this "Feel Better Soon" comfort ensemble as they work so well together! The two sets that I am using are called November Corner Adorner: Feel Better Soon and Expressions of Empathy. I can't say enough about both of these sets. The Expressions of Empathy set has SO many sentiments that I have been longing for. I don't think any stamp collection would be complete without having this one included in it. With Cold and Flu season on its way, these stamps will come in handy to help our friends and family feel cheered and encouraged! My mind was going a hundred miles a minute while putting this "Feel Better Soon" comfort basket together. I just wanted to keep making and making, and like I mentioned last month, thank heavens for deadlines! LOL! The design process all worked around the gorgeous floral fabric that I used from Penny Rose Fabrics. I couldn't wait to dive right and get started! I actually made the fabric basket (pictured further in the post) first so that I had a place to tuck each thing in as I finished it. 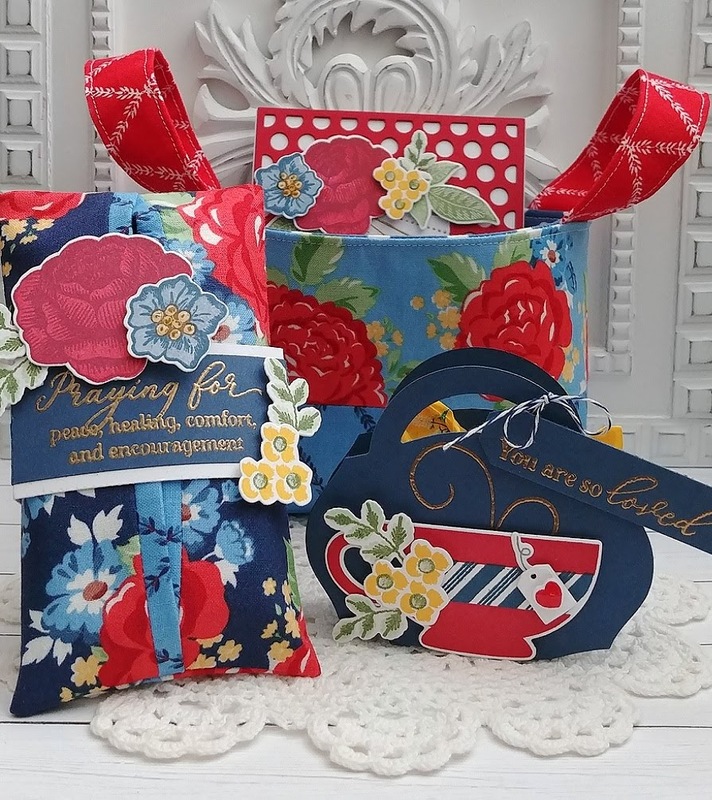 I have made quite a few of these fabric baskets and if you are interested in a tutorial, you read about it on my other blog Thimbles and Thread. 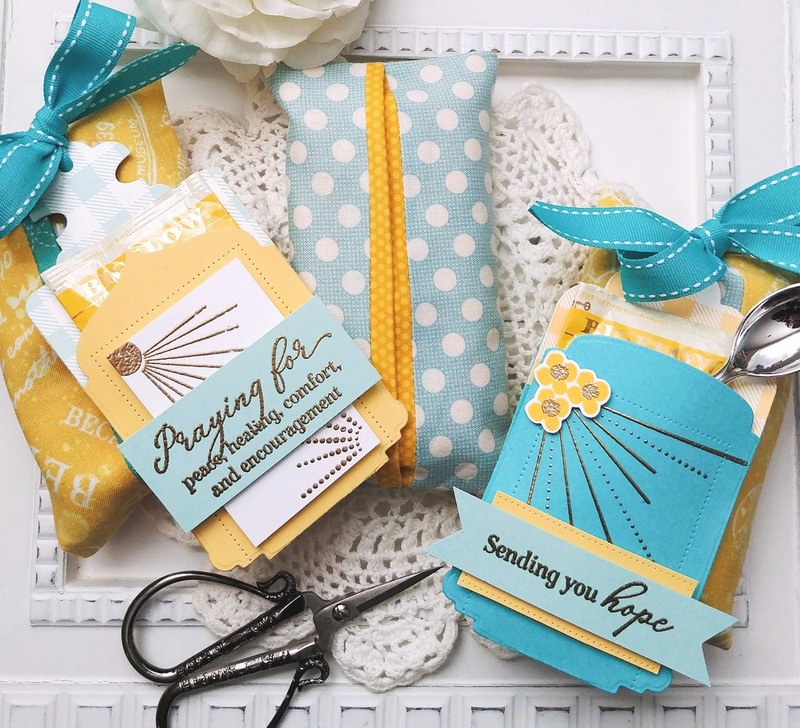 I am 100 percent smitten with Dawn's new "Mix-Ups Pocket Tags". These are absolutely a MUST HAVE! I was able to incorporate all three of the different tags for today's projects. They are so perfect for my ensemble. I tucked a Lemon Ginger tea into the pocket of this tag and attached a chapstick to the outside using glue dots. The "sun ray" image is from the new "November Corner Adorner: Feel Better Soon and I just love how it looks embossed in gold against the red. The flowers from the Stitching Garden stamp set are the perfect fit to coordinate with the fabric. I also used a bit of Chicken Scratch pattern paper on the top of the tag for some added interest. There are a few ways to use these tags, but let me explain how I used mine. I actually folded a piece of cardstock in half and then die cut the entire tag so that the fold would remain intact. I then used the additional decorative piece that comes with each of the tags to just die cut the little top flap. I used 1/8 inch scor tape to adhere the two sides to create a pocket to add the tea. 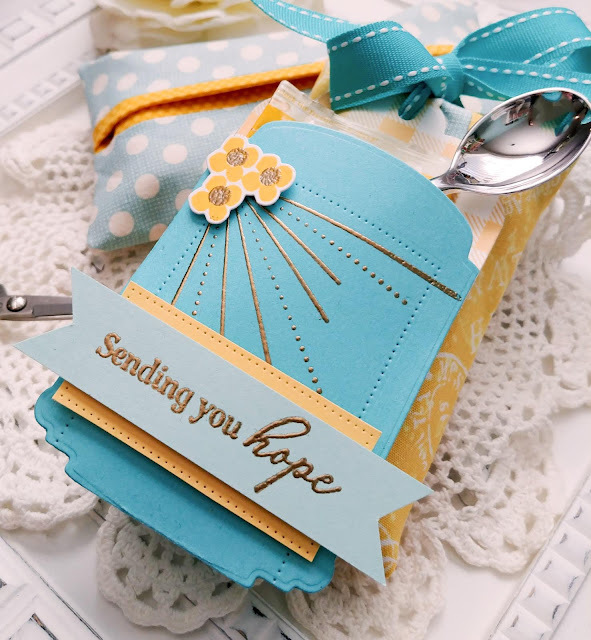 I created a quick card to tuck in with the basket using the new Bold Borders: Polka Dots. The lining of my fabric basket is polka dots so this was the perfect choice. 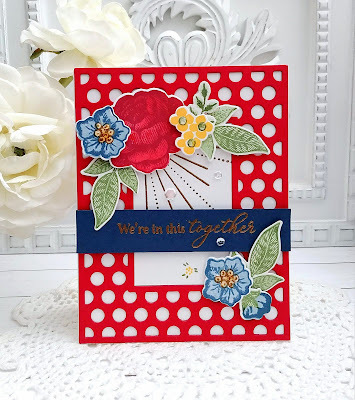 I gold embossed the "we're in this together" sentiment that is from the Expressions of Empathy set and adhered it over the border. Again, I used the sun rays from the November Corner Adorner and added more of the blooms and leaves from Stitching Garden. A few sparkling clear sequins finish off this cheery design. You can see the basket a bit in this photo as well as the card peeking out of the top. I sewed a tissue cozy using the same Penny Rose fabric. Tissues are a must have when you are under the weather or sad! It was a perfect choice for this "feel better soon" ensemble. I have used yet another sentiment from "Expressions of Empathy" on this cough drop box. I used the Merry Mug stamp set that was released a few months ago. I was so happy to use it for this project to show how versatile it is. 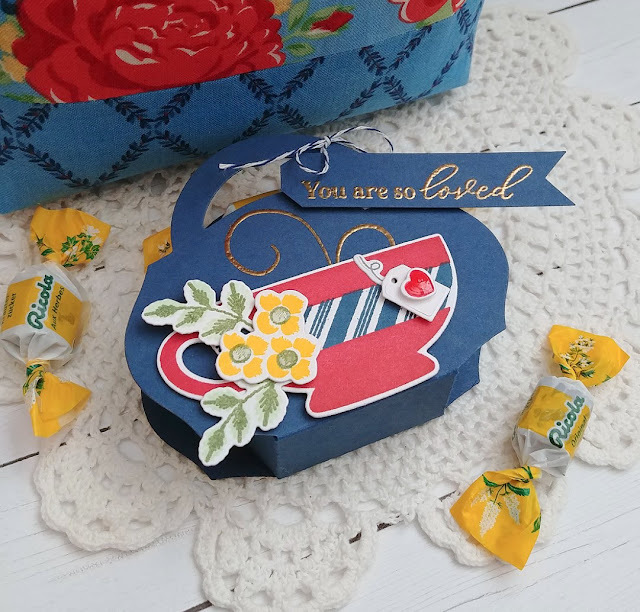 I thought the cough drops looked so cute as well. 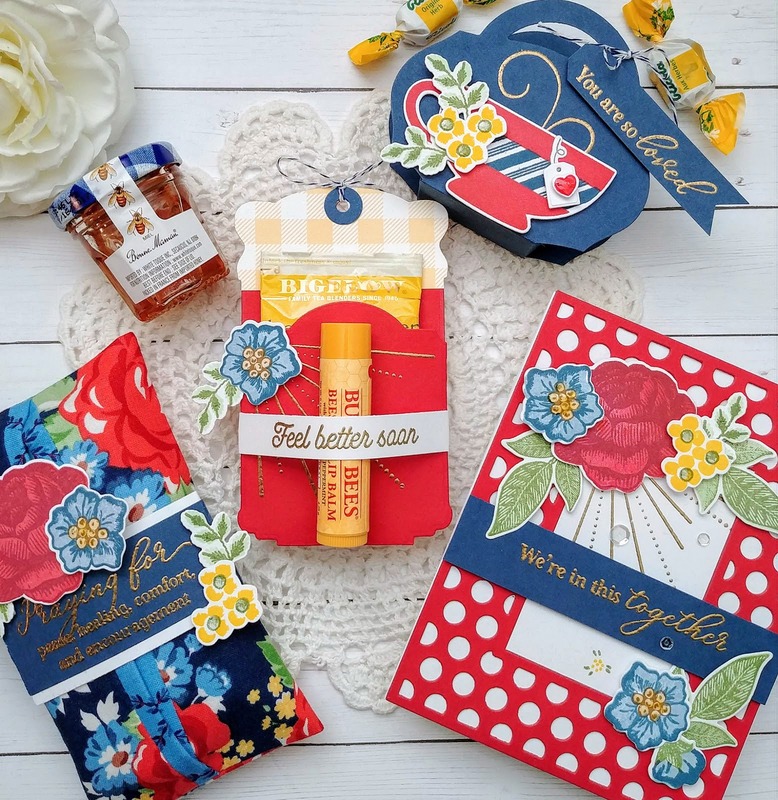 They are Ricola and the styling is perfect with the entire gift ensemble. I used the Favor It Box 1 die cut to make the little box. It is the perfect size to hold a few cough drops and I thought it worked especially well with the mug. My second project is a simplified version as the first, using many of the same elements. 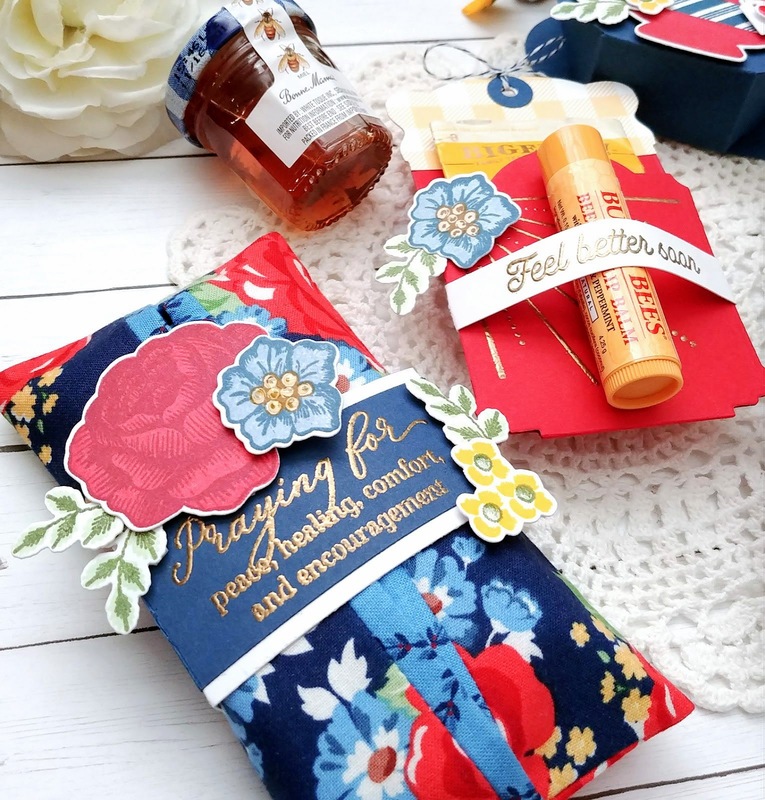 Since I love making the tissue holders so much, I thought it would be fun to make up a few using some cheery fabric and attach the tea packets made using the Mix-Ups Pocket Tags. I created these in the same way as I did on the previous project. I was able to use the other two designs on these, which is fun! It will be nice to have a few of these on hand to give to those in need. With the different sentiments that I used from the "Expressions of Empathy" set, you could use them for someone feeling down, sick, or grieving. You can find the tutorial for the tissue cozies HERE. I have been using this pattern for over 10 years now and I love it! 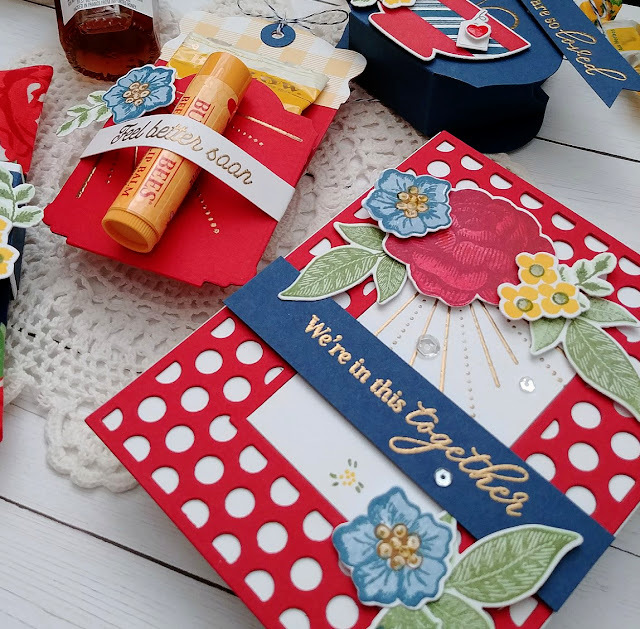 As you can see I did a lot of gold embossing on these projects! I found these cute little silver spoons in the entertaining section of Dollar Tree and I have used them quite a bit. I like to tie them onto preserves and jellies during the holidays. I thought it looked so cute tucked inside the pocket with the tea. You could also add some of those honey straws. 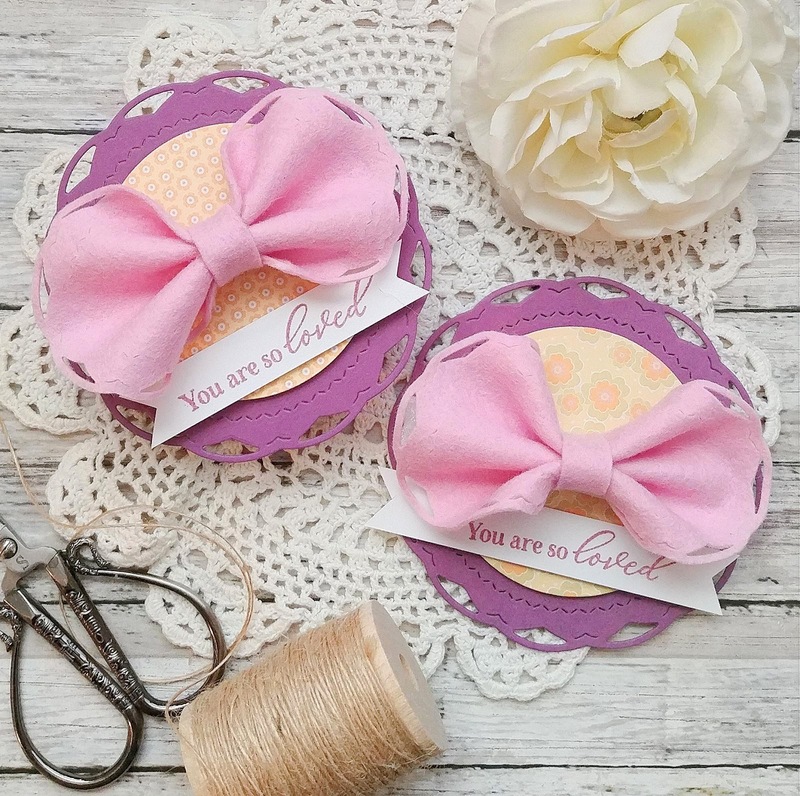 I couldn't think of where I had last seen any so I wasn't able to add them into this project, but I will definitely pick some up when I see them next. I wrapped the ribbon all the way around the cozy and then tied it through the tag holes. I used Hawaiian Shores stitched ribbon for some added contrast. 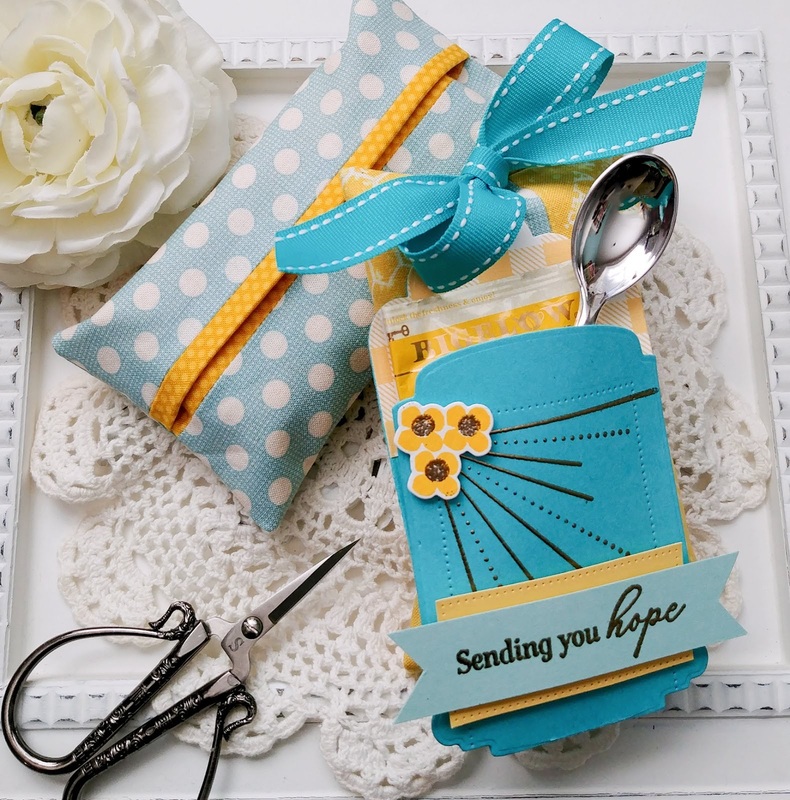 I also used the new pierced rectangle dies that are coming out this month to give the tag some extra detail. I love how it helps bring in the design from the sun rays from the new November Corner Adorner. 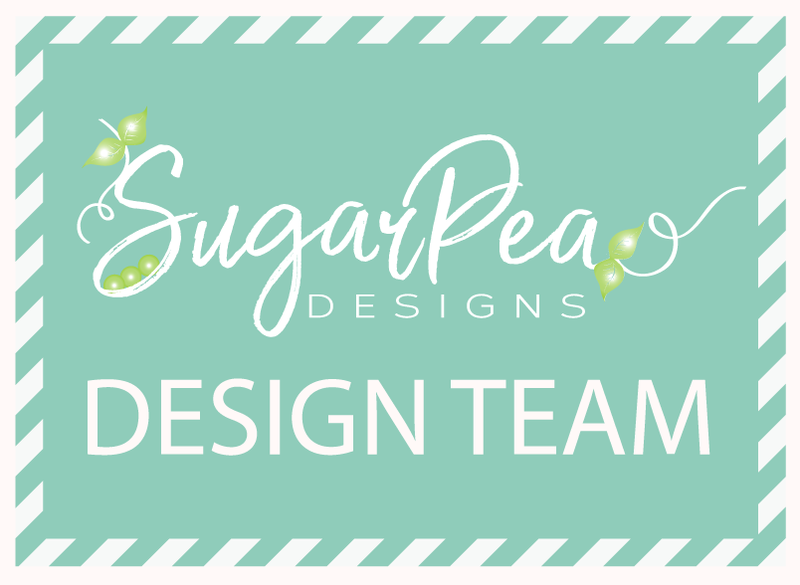 I know that you may have some questions with the last two projects, so please feel free to leave a comment or send me an email with any questions that you would like answered. I wanted to switch things up a little bit for my last project. The "Expressions of Empathy" set is obviously designed to uplift and encourage anyone who may be sick or grieving, but I LOVE the "You are so loved" sentiment with its beautiful font, so I decided to make something a little girly for this project. There were two little girls sitting in front of me at church last week wearing some super adorable fabric bows. I noticed that they were made by scrunching up a circle of fabric. I knew that I could easily recreate them, but when I decided to try it with this months Shape Shifters: Circle 4, I was giddy with excitement! I die cut two pieces of Lavendar Moon Felt using the Shape Shifters: Circle 4. I made sure to use my metal shim so that I could get crisp cuts into the felt. I pinched the middle to get the first tuck and then carefully gathered the rest of the felt in a pleasing, even way. I used a clothespin to hold it in place so that I could add some glue to each of the folds. 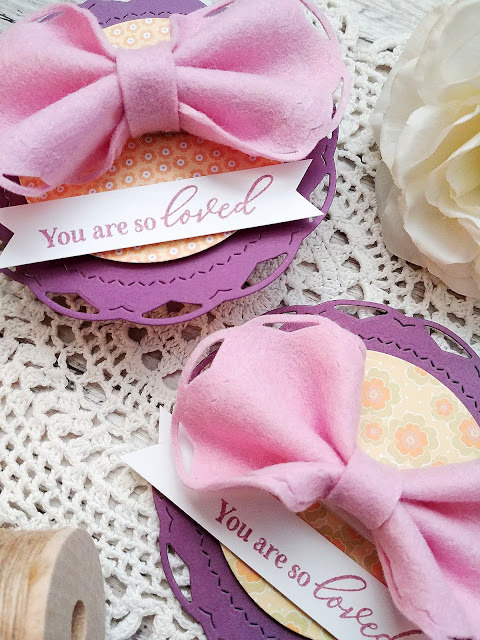 I used my rotary cutter to create the pieces I need for the centers of each bow. I used hot glue to attach it in the back. I attached the clip using hot glue. 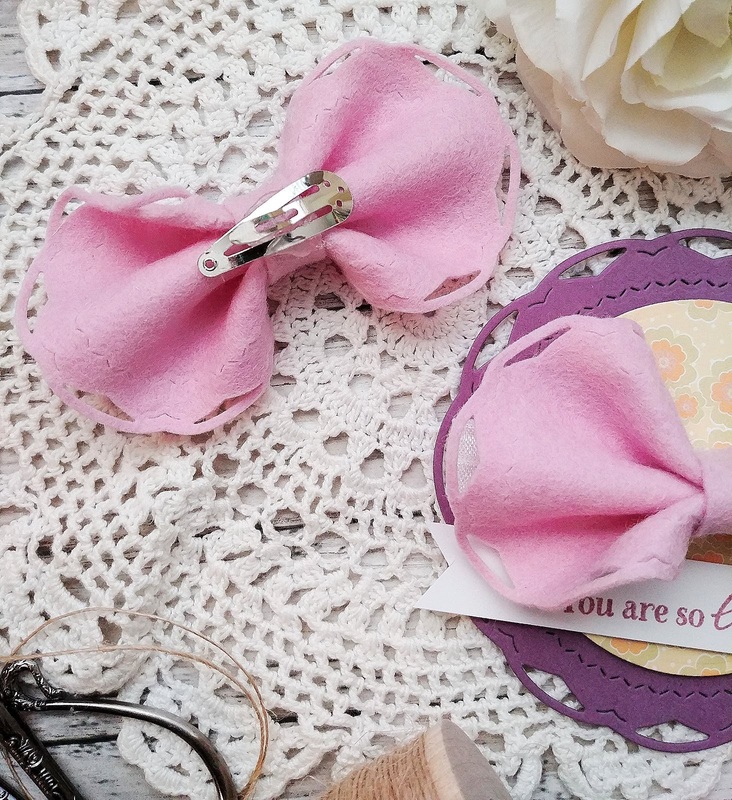 I chose this type of barrette because I like how it forms to the shape of the head, rather than the other type because they make the bow stick up funny on the wearer's head, if that makes sense. One is a clip and the other one is a stretchy headband for a baby. 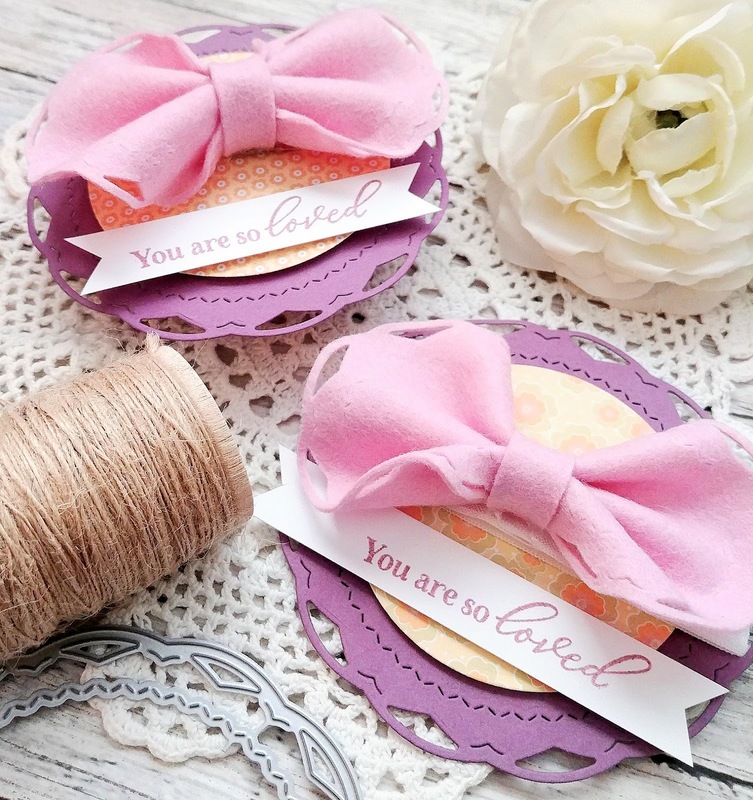 The "You are so loved" sentiment is stamped and then adhered under the bow. Of course the base to hold the bows is also the Shape Shifters: circle 4. I also die cut two circles using the Bitty Baby Blessings pattern paper for some added color and pattern. 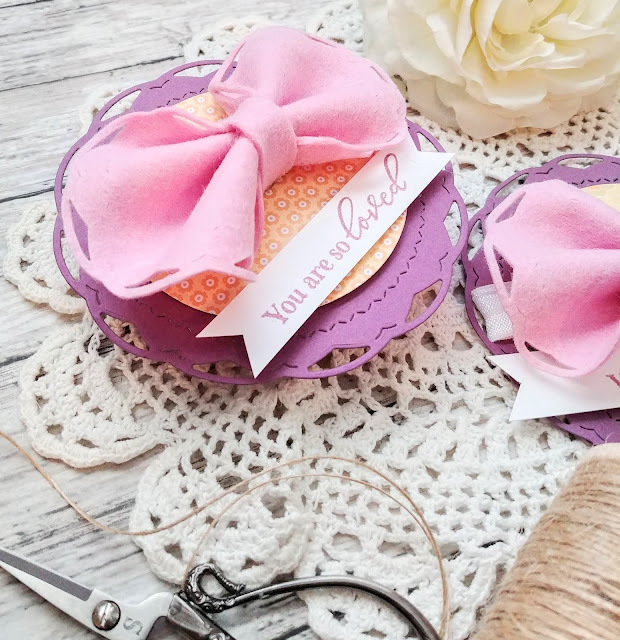 I know that my projects are a little "unconventional" but I hope that I've given you a few creative ideas other than cards on how to use these beautiful new products! Thanks for fluttering by! Hi Kelly! Oh my goodness, what a FANTASTIC post! I don't know where to begin but I just want to say, you're a wonderfully creative & talented artist. 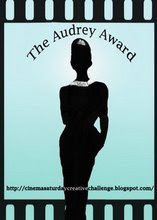 I have to check out your other blog, (What a nice surprise!) & your tissue cozys! Bright, cheerful and useful! Thank you for sharing how you made your tags, Love that! Easy peasy and oh so pretty. :) And your sweet & pretty bows, ingenious! That was the best! I know you said we may have questions, but you explained the creative process so well. Thank you for sharing EVERYTHING! What a fun & beautiful post!! Kelly, I just love your ideas! They are always so bright and cheery. I made several of the tissue cozies last year and they were a huge hit. With 6 little granddaughters, I’m going to try the cute bows. I always look forrward to your “Keeping Christmas” series each month and just want to say a big thank you for all your inspiration! Blessings to you and yours this holiday season! You have done a fabulous job Kelly. Going out of the box with your creations and showing people what can be done other than cards is what I like about designers. The baby hair clip was so cute. Keep doing what you do. It's fabulous!! Wish you lived nearby me. We could have such wonderful creative sessions. Fabulous gifting, incredible patterns and color, coordination between components, visual delight! Thank you for sharing your "caring" side with PTI. 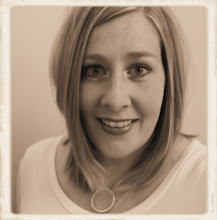 I am always revisiting your site to see what little gifts you are working on, always inspirational Kelly!!! Absolutely beautiful color combos and unique uses of the products. What a joy to see this morning! Kelly this is so amazing! I love how you go above and beyond to make everything you do OUTSTANDING! Love it all!!! Thank you for the inspiration. 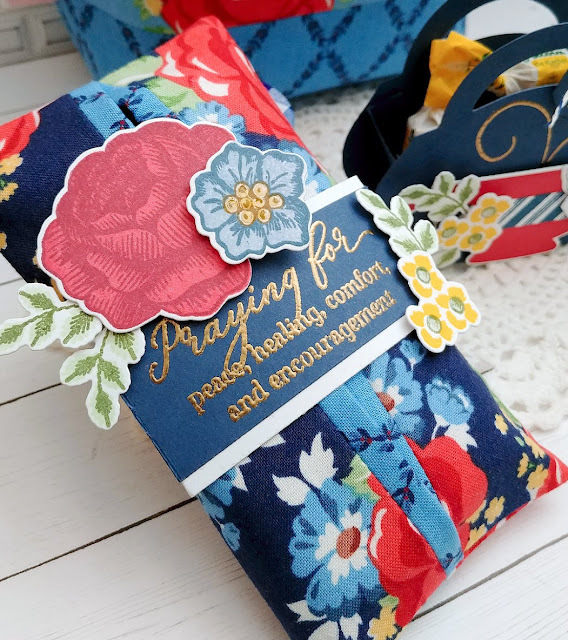 I got to work and made a few tissue holders for residents living at Grace House this month. Can you recommend a box/die for the little honey jars? You are so very talented! I love all the wonderful ideas you share! Hi Cynthia, there are a few of the PTI Favor It dies that might work, but they're out of stock right now. It wouldn't hurt to take a look though. How wonderful! Thank you for sharing! That makes my heart smile! Marcia!❤❤❤❤ thank you, sweet friend! You made my day! Thank you Cindy! You've always been so sweet! Thank you, thank you! It really means a lot to me! Swoon! 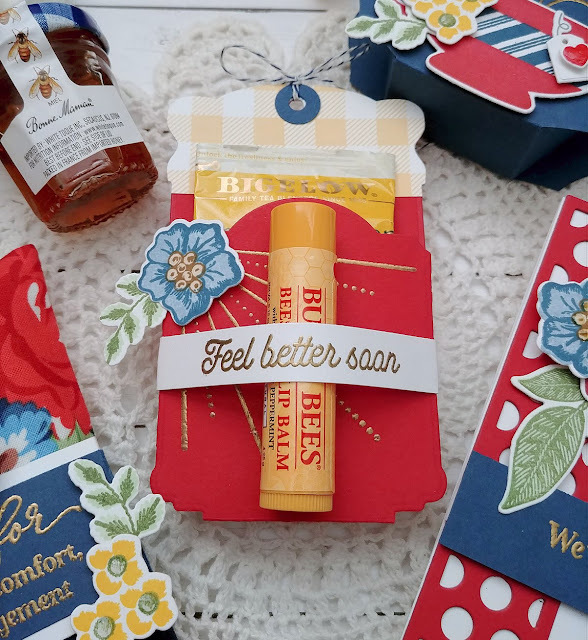 Beautiful gifts that will make any recipient feel better immediately! Traveler's Journal: Life is what you bake it!